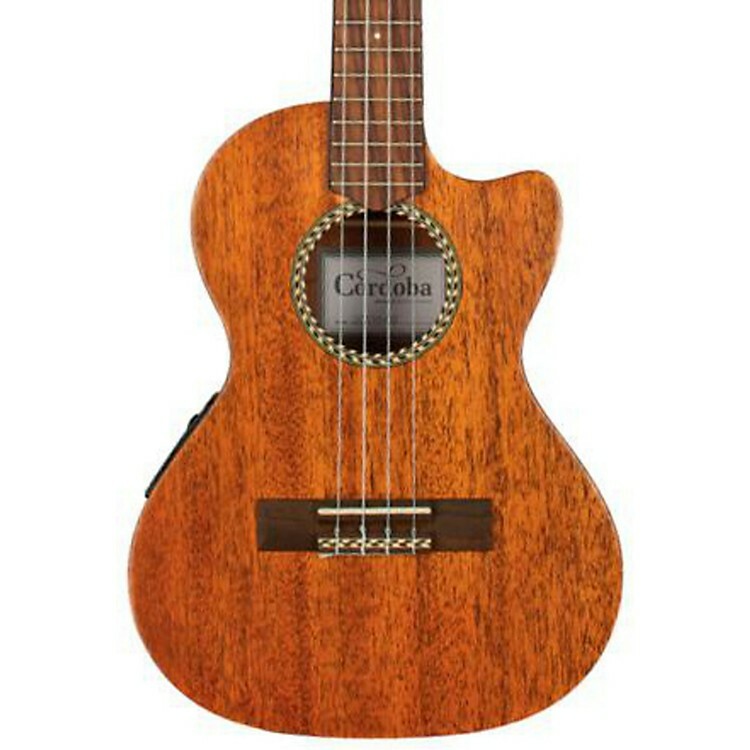 Handmade construction with a solid mahogany top, soft cutaway and active electronics. This tenor ukulele makes an excellent travelling companion. It has more volume and a deeper tone than smaller ukuleles, yet is still compact enough to take anywhere. It can be tuned several ways with the most frequent tuning being G4-C4-E4-A4. Enjoy the sweet sound of this Cordoba wherever you are. Order today.